In additional to the three existing tile sizes (small or 1×1 tile unit, medium or 2×2 tile units, and large or 3×3 tile units), you can now choose from a variety of tile sizes from 1X1 up to 5×5 tile units. 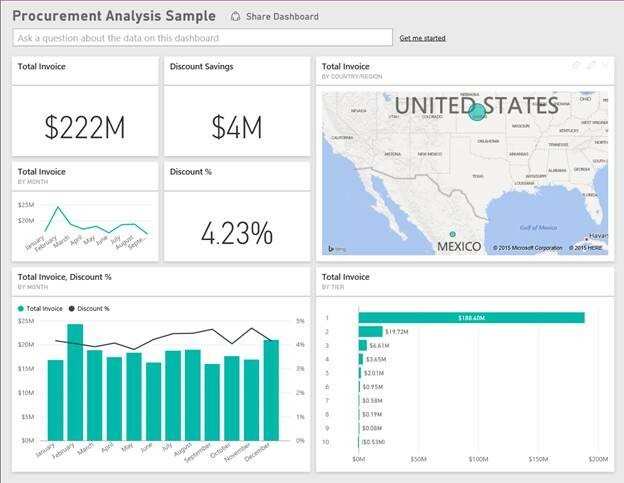 This provides more flexibility to resize your tiles for better representation of your data with optimized dashboard layout. 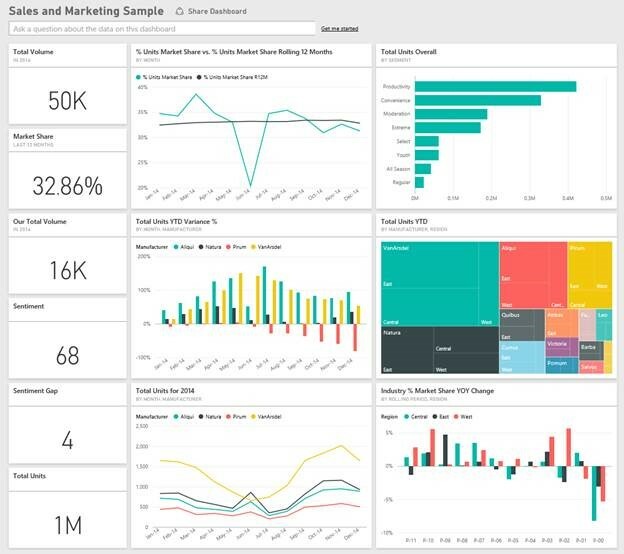 If you are a developer bringing in new visualizations into Power BI, we hope the additional tile sizes also empower your visual innovation in our BI solution. 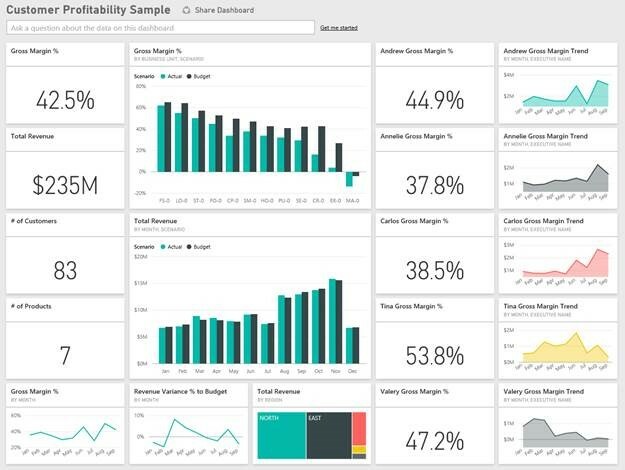 Sharing and collaborating from your Power BI group is easier. 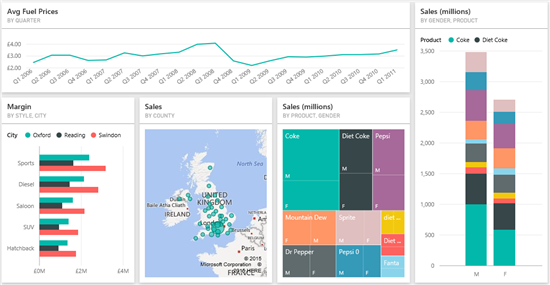 In a group space, all members can read, edit and delete all datasets, reports and dashboards. This is great when you and a group of workers need to collaborate on a collection of dashboards, reports, and datasets. However, we’ve gotten feedback from you that there are situations that you want to share read only content from that group to your colleagues. You can now share (and un-share) a dashboard from your group space exactly the way you would do it in your own space. Once colleagues accept your sharing invitation, the shared dashboard (and their associated reports) will be added in their own space with read-only permission. This will not affect the membership of your group space. Your colleagues that you invite to see your dashboard will not be automatically added to your group. We hope you get a chance to play with our newly released industry samples that were made public two weeks ago. Today, we are adding five additional industry related samples in the service: Customer Profitability, Human Resources, Opportunity Analysis, Procurement Analysis, and Sales and Marketing Sample. 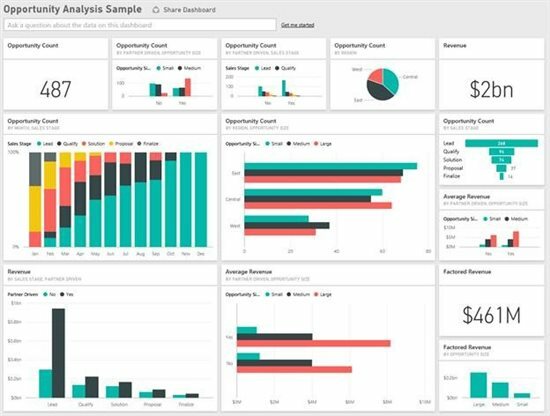 We are also enabling a large number of reporting features in preparation for the Power BI Desktop release. 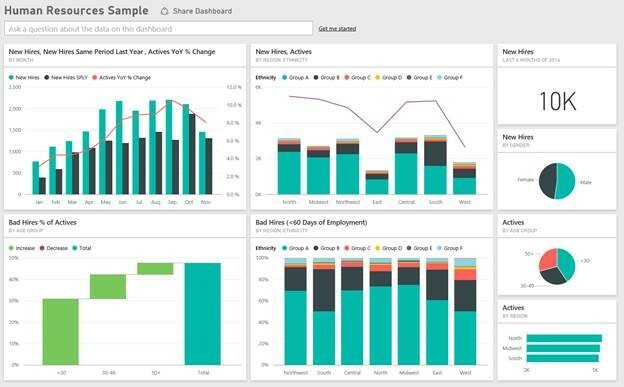 Stayed tuned to the blog for a detailed list of changes that will be available in both the Power BI Service and Power BI Desktop!